Ever wondered what it’s like to fish in France? 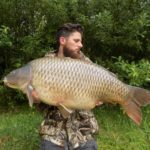 If you've ever wondered what it is like to fish in France, the boys from OnTheBankLive have done a fantastic youtube video of their trip to Le Queroy. They capture the atmosphere, the fun, the excitement and the big fish captures perfectly. This video is well worth watching and has some superb moments in it. 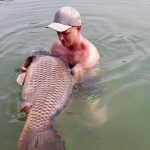 Achieving The Unthinkable 24 hours on a tough, 10-hectare gravel pit has seen Solar Tackle team member Ignace de Roeck achieve the unthinkable. 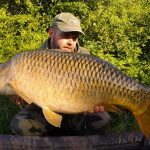 Not only did he land 6 carp from this low-stock venue, but included in that haul were two thirties and one of the lake's main targets, a 42lb+ original common called Inez.